The Snooze Button Generation 2019: Cleveland shares values — and a CHAMPIONSHIP! The RTA bus would pick me up on Turney Road, then go down Broadway though urban decline and eventually reach Public Square. I would get off, wait a bit and take another bus over the Detroit-Superior Bridge and be dropped off walking distance from St. Ignatius High School. I didn't think much about it at the time, but going through downtown Cleveland to the near West Side for high school shaped a lot of who I am. I learned some street smarts, how to talk with people asking for spare change and how various types of workers go about their days. Floods of memories and emotions continue to come my way as I bask in the Cleveland Cavaliers' NBA Championship. I am not sure people outside of Cleveland understand our feelings. They may be baffled. A big reason for this is the unparalleled civic pride we have for our city. 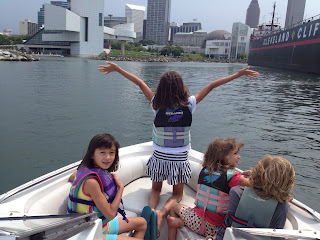 We Clevelanders have always been connected through our punishing winters, negative press from the outside world and a sense of community that continues to get stronger. In all fairness, I have seen a lot of civic pride from New Yorkers and Chicagoans. It is legitimate, but it's not as close-knit as ours in Cleveland. Two major-league baseball teams in one city? Those cities are just huge. Cleveland is smaller, but still a metropolis. We're all big fish there. If you're still in Cleveland, you've looked around the world and have realized that you'll take the lack of traffic, accessibility, low home prices and lifelong friendships over what you might find in other cities. My grandparents were brought up in Slavic Village. My mom's parents lived there during their whole lives. My dad's parents soon moved to a bordering suburb — Garfield Heights. My dad avoided the Vietnam draft by going to law school and supported himself and his young family by working at Kroger's. When he become an attorney, his law office was on Public Square for more than 30 years. Two of my uncles were in advertising in Cleveland. My Uncle Bob climbed the ranks through another Cleveland landmark — Higbee's, which is now the Cleveland Jack Casino. 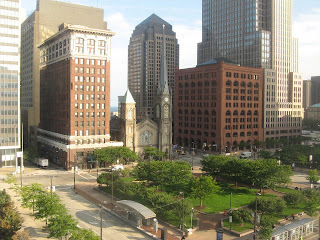 As a youngster, I found myself downtown all of the time in the natural center of Northeast Ohio. The city's economy bloomed when it was a steel and iron town, and because of that, the city always has had a blue-collar mentality and sensibility. Or as LeBron correctly put it when he returned to Cleveland, "In Northeast Ohio, nothing is given. Everything is earned. You work for what you have." 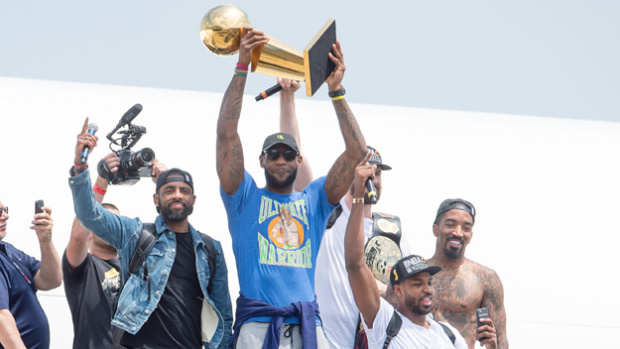 LeBron matured and grew and showed that Cleveland is worth returning to. He gets it. Of course, the lead of what happened is that our championship-starved city stopped a ridiculously long drought without a title. So, of course, we are going bonkers because of that. 1) Bewilderment. They just don't get our excitement and never will. 2) Apathy. They don't care. They have lives where they don't truly have the passion and caring for anything, let alone their sports teams. These people will continue to sleepwalk through their lives. 3) Unspoken Envy. Yep. Outsiders probably won't admit it, but this championship strangely — and probably unjustly — validates our community. It validates Cleveland on a national scale. It validates our values. This is not a place that we leave and forget. This is us, and we are happy for that. Who would not want this? I have lived outside of Cleveland for 21 years now — three years in New York City, and 18 in Los Angeles. A long time ago, I realized that Cleveland will always be my home. With the exception of my daughters, fiancee and a couple stragglers here and there, I have not developed the depth of relationships that I did during my formative years in Cleveland. A team attitude, a common understanding, inherent trust —values that I used to take for granted aren't as readily available as they are in my hometown. Our championship is bigger than basketball. It's also about our shared values. We get that. We are united. We are Cleveland.